Superb quality finish, and fit not TOO slim for a gentleman of fuller habit. Excellent service - my shirt fits well and delivery was well within my time-frame. I can attend my "black tie" function with confidence! The shirt looks a good standard but as a present I don’t know how the recipient will find it. I paid extra for gift box as usual to make a really class gift. Am really disappointed it’s now degraded to a flimsy box like a supermarket bakery cake box. Smart blue satin ribbon is now CT branded and barely makes a bow. Clearly cost cutting but lost it’s pizzaz as a gift. Not worth paying for gift boxing now. 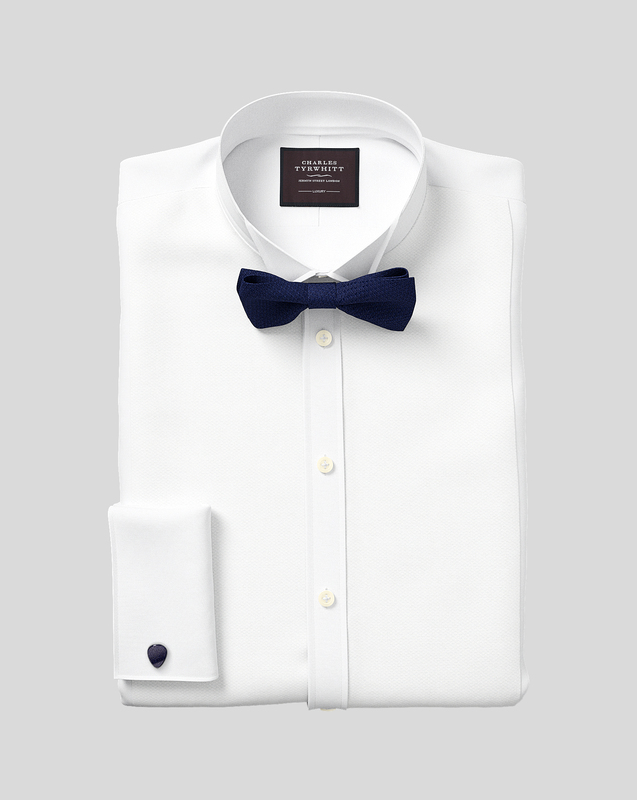 Response from Charles Tyrwhitt: The choice of shirt you purchased is amazing and I hope the recipient feels the same when he receives this. It's disappointing to hear how unhappy you are with the gift box you paid extra for. As you know we did make some changes to this based on customer feedback and your feedback will be taken on board. I can't promise any immediate changes to this product. The shirt fits all round (size wise), yet there are always folds in the front, which makes it look untidy. Response from Charles Tyrwhitt: Thank you for your feedback. It is a shame that there are folds in the front of the shirt making it look untidy. To reduce the material across the body of the shirt, we recommend reducing the collar size by half an inch as this may help smooth out the issue. We will take your feedback on board and kindly note that you are welcome to return any items within 6-months of purchase.